▷ 11 Bucket List Tomatoes You Gotta Grow Before You Go!! / 11 Bucket List Tomatoes You Gotta Grow Before You Go!! With so many varieties of tomatoes from which to choose, making up this list wasn’t as easy as I had initially presumed it would be. One could make a career out of just reading about each kind. If you were to ask my boss he might say I practically did. Standard agreement amongst tomato aficionados is that there are around 10,000 tomato types in the world. Heirlooms, or heritage varieties, account for around 3,000 of all tomatoes grown. I love gardening and especially love growing tomatoes. I like to grow different kinds to discover their secrets and to experience something new come harvest time. That got me to thinking that maybe other gardeners might want to try something new themselves this year. In that light, I’m going to pick eleven tomatoes that will really add some variety to your tomato garden this summer. These tomatoes were chosen for their uniqueness (shape-size-uses), for the adventure that comes with growing something different, and also for their flavor. I would list flavor first but to be honest, I haven’t tried all of these yet. That said, this list will include only those tomatoes given a big green thumbs-up for flavor. Some of these you may have heard of but I’d be willing to wager there are a few on this list that you have not. They range from the traditional heirloom to hybrids. I would add that all of these tomatoes were selected for their uniqueness and ease of growing. While all may not be rare they are very good and will be well worth your time. So this is not a gardening article on how-to… but more a why not? I love these first tomatoes. You may have heard of this one but if you haven’t, you really should know about it. 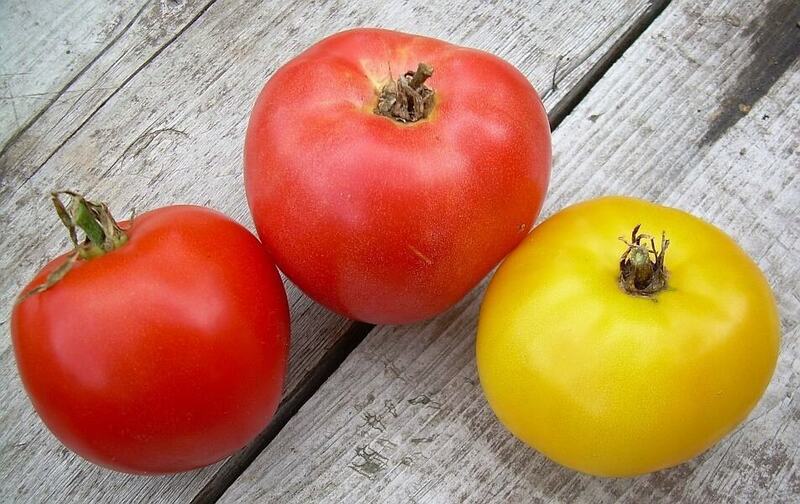 The Cherokee Purple is a really delicious heirloom tomato gaining in popularity with each passing year. It is also indigenous to my state, Tennessee. I started my plants indoors a couple months ago and have twelve ready to put in the ground as I type. One even has a tomato on it already. They are easy to grow. The story goes that in 1990, amateur seed-saver John Green of Sevierville, Tennessee sent a packet of these seeds to famed tomato guru Craig LeHoullier with a handwritten note explaining their origin. In it, Green expressed that he had gotten the seeds 3rd hand from a woman whose neighbor claimed they had been in her family for 100 years and that Cherokee Indians gave the seed to her ancestors. 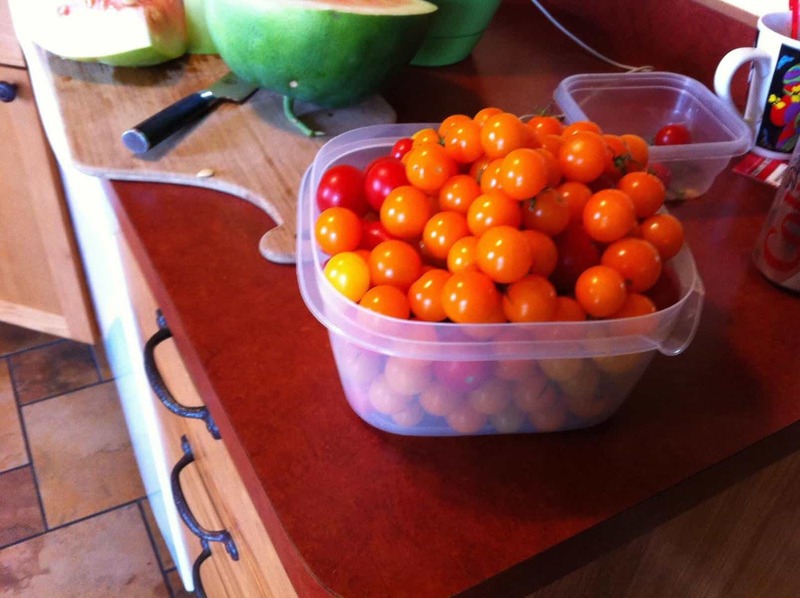 LeHoullier grew the tomatoes and was amazed at what he saw and tasted. When sliced, the rich, purple color reminded him of a deep leg bruise so he aptly named it the Cherokee Purple. The flavor blew him away as well. 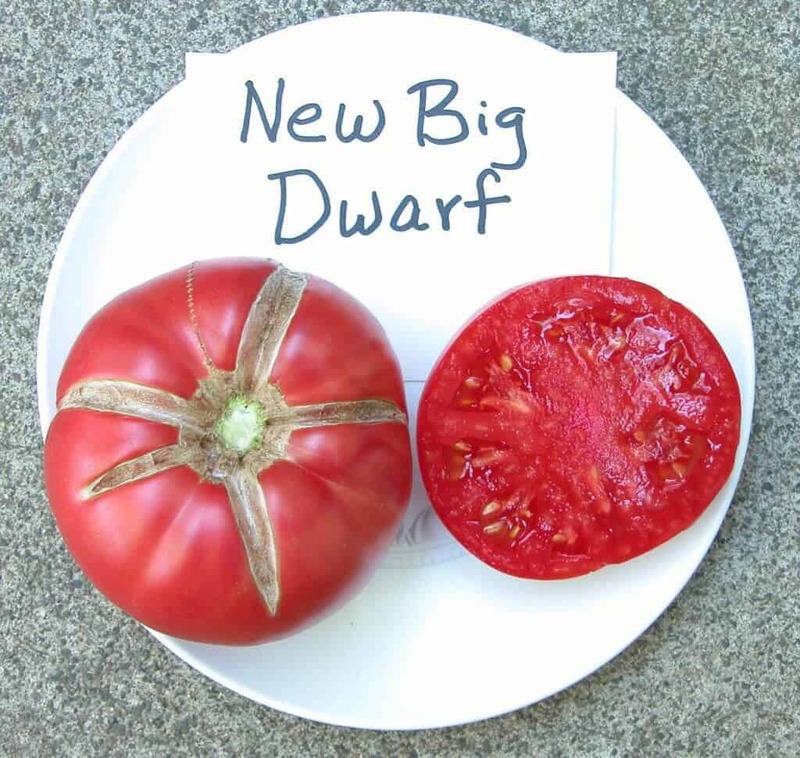 “I love this tomato!” he exclaimed in a note sent to some of his tomato seed bank friends along with some seeds. They grew them and felt the same way he did. There has been a Cherokee Purple popularity explosion since that time. Beauty in the traditional sense does not apply to this tomato, although beauty is in the eye of the beholder. I find them gorgeous, especially when sliced, and delicious, especially when eaten. This tomato has an uneven and green exterior with a deeply rich purple flesh. With its beautiful color and delectably sweet flavor, this heirloom is as delicious as the story behind its fortunate beginning. As you can see in the picture, they are not your traditional store-bought, perfectly red tomato. Moreover, there is no comparison. Once you taste these you’ll throw your store-bought tomatoes into the compost pile. 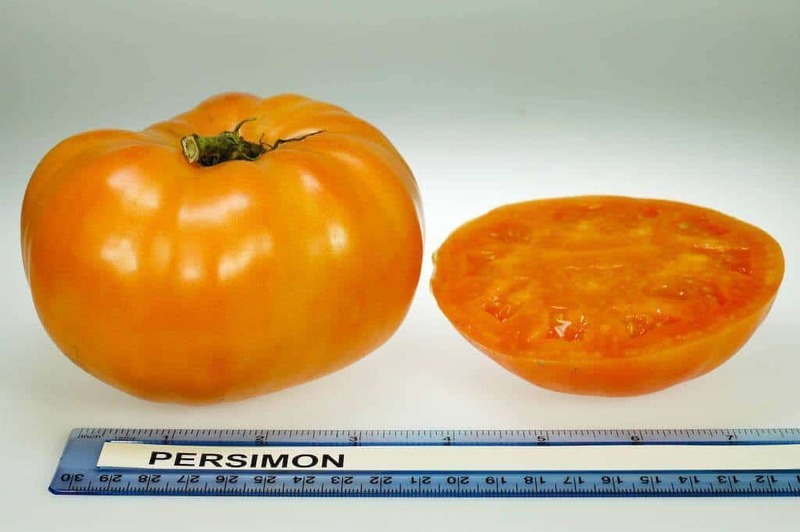 If you relish the flavor of a sweet yellow-orange tomato that you can add to a sandwich or a salad with equal satisfaction then the Persimmon is the tomato for you. With every bite you take you are not only tasting a great tomato but also taking a bite out of history. As far back as 1781, this large, juicy heirloom was grown by none other than one of our Founding Fathers and principal author of the Declaration of Independence, Thomas Jefferson. Many tomato traditionalists agree that in order to qualify as a bona fide heirloom tomato, the heritage must be at least 100 years old. That being the case, the Persimmon unarguably qualifies. I should mention that these make great take-to-market tomatoes, as people love them. If size matters, when left to fully ripen, these beauties are nearly 5 inches across and weigh around a pound apiece! If Bigfoot were a tomato he might be a Persimmon. 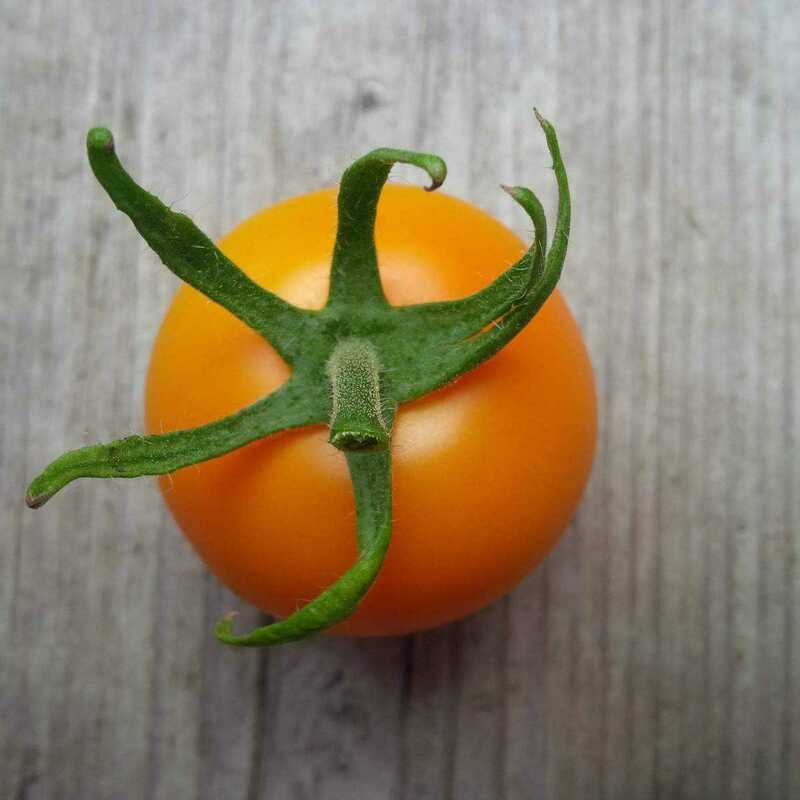 Named for the legendary winged creature that has haunted the thick Pine Barrens of New Jersey since the 1700s, this lovely little tomato is only a monster when it comes to production. The Devil is a late bloomer (85-90 days) so some patience is required. As with many good things in life, the payoff is well worth the wait. According to multiple credible sources, the flavor of this tomato is just wonderful. Gardeners also enjoy their unique look, which is about 5 inches in length and resembles a pepper. Jersey Devils are an indeterminate tomato and perfect for container gardening. A large container works best. Growing requires no more than the standard requirements to grow any tomato; sunshine, food, and water. They will keep producing until the first frost. In addition to their delicious flavor, the Jersey Devil puts up well and is perfect for canning. I am told this is an excellent tomato for making savory sauces and tasty salsas. Be sure to stake these tomatoes. They will need support as they can grow to heights exceeding 6 feet! This little plant with the oxymoronic name (big-dwarf) is now considered an heirloom since it turned 100 in 2015. The exact date of its creation isn’t certain but is known to be prior to 1915. It is the result of a crossbreeding between the Dwarf Champion and Ponderosa types. Don’t be fooled by the name Big Dwarf. While only about 2 feet tall, they produce large, dark-pink tomatoes that average 8-12 ounces each but can weigh as much as a pound. They have a pretty shape as well. 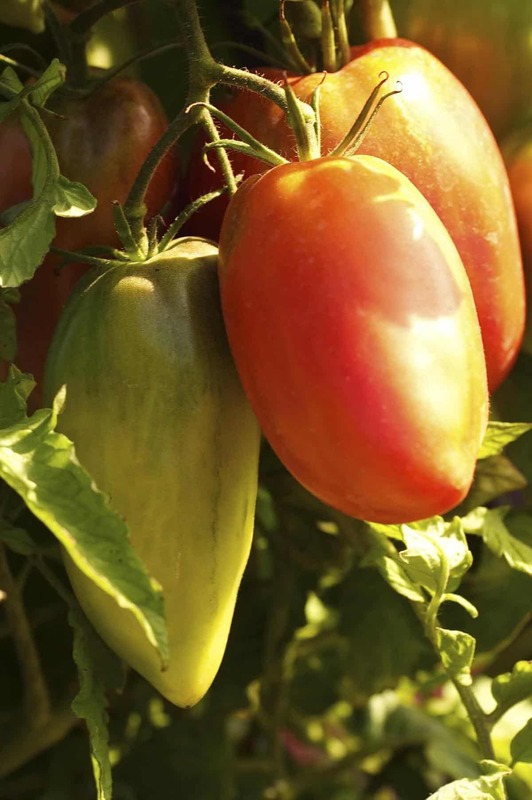 Growers in the know say this little plant produces large, delicious tomatoes and finishes early (60 days). Great for container gardening or in the ground. This yellow flame will gently warm your heart with its balanced mixture of sweet and fruity flavors. The tomatoes grow in nice, tight clusters and are generally one-and-a-half to two-inches in diameter. If you’re looking for something deliciously different then this is the tomato to grow. It is excellent for salads and sauces and dries well. About 75 days to maturity. 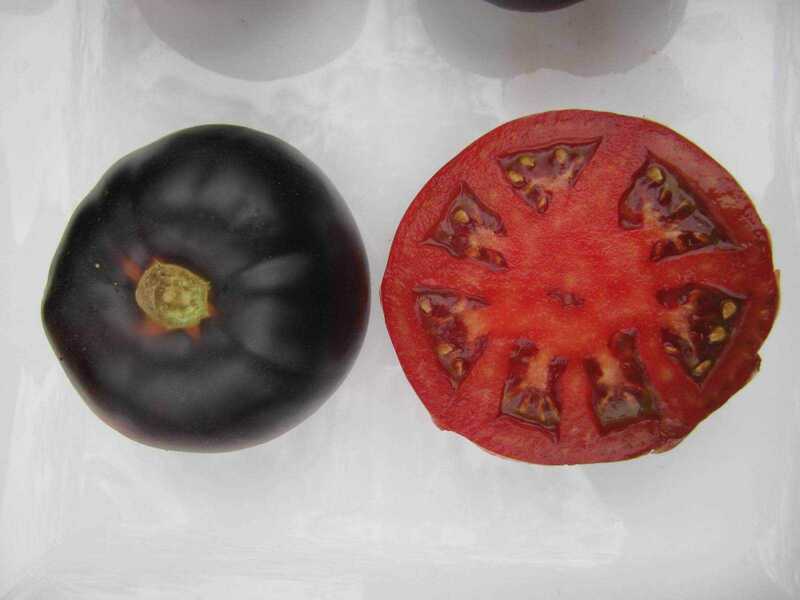 Black Beauty is a strangely beautiful tomato with a deep rich color that starts out green and finishes nearly black. A stunning tomato to behold and absolutely delicious to eat. 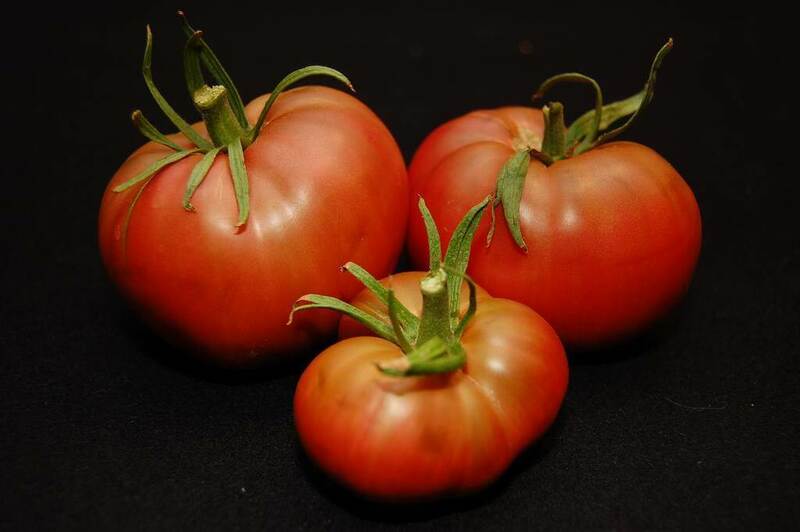 When sliced, its dark red meaty flesh is not only one of the tastiest tomatoes you will ever grow, but also contains extreme amounts of healthy anthocyanin, the same antioxidant found in blueberries and blackberries. 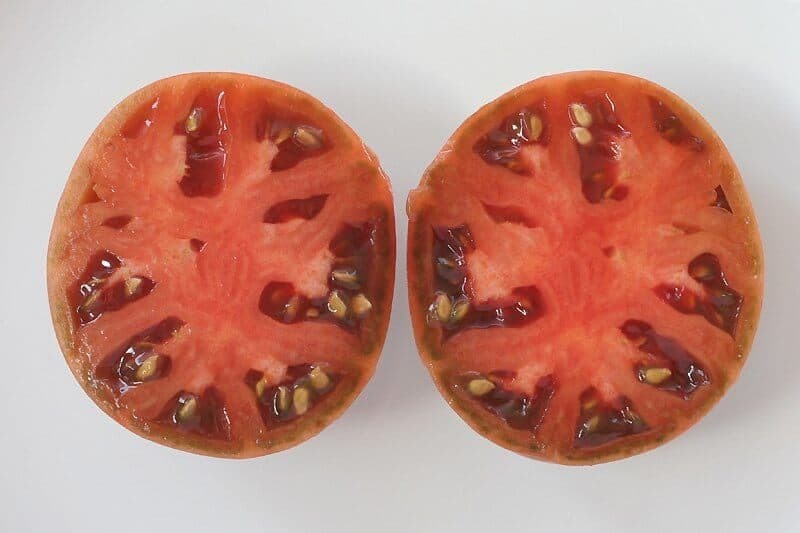 This eye-catching tomato is a must-have if you want a tomato that is bursting with flavor and has a color you just don’t expect to see on a tomato. This is one tomato you’ll want to have in your garden or a container. “A rich smooth taste with earthy overtones” is how many describe this delicious fruit. Fun to grow, beautiful to look at, and delicious to eat, the Black Beauty tomato is one that will have your friends patting you on the back with one hand while snatching one of these gems with the other. Sounds like the name of a female superhero but in actuality, it’s just a super tomato. Pink Girl is an F-1 hybrid. Here’s a good teaching moment. Being a hybrid means she was created by the intentional crossing of two stable tomatoes types. An F-1 means it is first generation, which usually translates to good plant vigor and production, while heirlooms are the result of (OP) open pollination and are first created by nature. People create new hybrids all the time. You may have yourself. Here’s how it works. Often, when a tomato plant produces fruit of exceptional quality the gardener will save the seeds of the best tomatoes and replant those the following year. This process is continued year after year for 5 generations; by then the plant stabilizes and consistently produces fruit with all the characteristics you like such as size, color, and most importantly, great flavor. Pink Girl is an indeterminate and one of the best tasting pink tomatoes you can grow. She is mildly sweet with low acidity and is a constant producer all summer long. Expect beautiful tomatoes in the 3.5” range with a weight of between 6 and 8 ounces each. She is a prolific producer, is crack resistant, and matures in about 75 days. This cherry tomato variety lives up to its name and reputation for being one of the easiest and sweetest tomatoes you will ever grow. Cherry-sized at about a half inch, this heavy producer grows well indoors, outdoors, and in greenhouses. Unlike many of this type, it doesn’t lose flavor if it doesn’t get enough warmth and sun and remains stable even under cool conditions. It also grows well in unheated greenhouses. The Sun Sugar Hybrid has a thin skin but is remarkably crack resistant, even in heavy rains. “A true tomato flavor” is the term used by most loyal growers of this tomato. Therefore, if hearty, exceptionally sweet, delicious, and easy to grow cherry tomatoes is what you’re after this summer, look no further than the Sun Sugar Hybrid. Mama Mia! 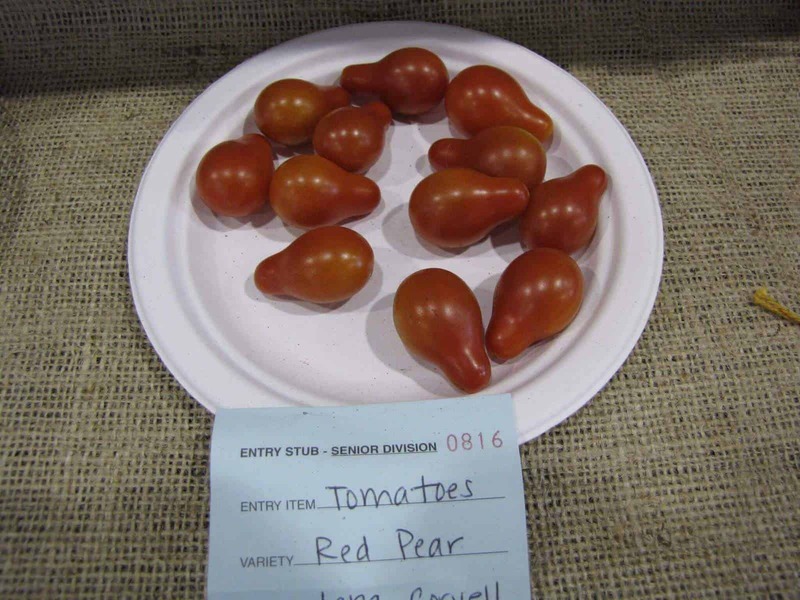 This is one lovely tomato with its pear shape and abundant yield. Slightly ribbed and with a thin skin, this average-sized (6 oz) red beauty is mildly sweet and excellent for creating wonderfully flavorful tomato sauces. As an easy to grow indeterminate, as well as a great producer with a pretty shape, this tomato made me an offer I couldn’t refuse to put it on this list (great tomato sauce this fall). A perfect tomato for container gardening. The only problem you may have with this tomato is actually getting them into the house before you have eaten them all straight off the vine! Harvest time around 80 days. Next up is a secret tomato that is not as secret as it used to be and is fast approaching legendary status. This one has to be on your list just so you can be able to say you grew them. 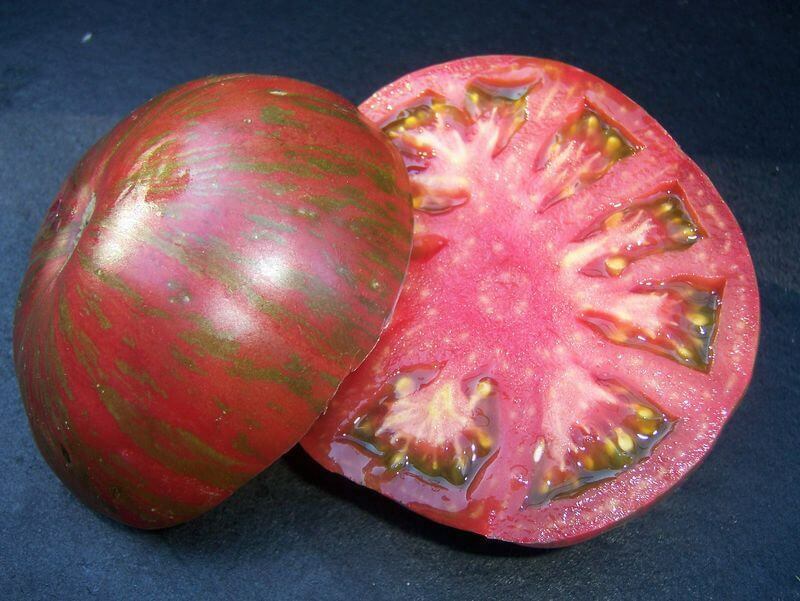 Legendary tomato master Brad of Wild Boar Farms in the Napa Valley developed this striking looking hybrid tomato with its almost metallic stripes. Its reputation for having a sweet, dark, rich flavor is spreading faster than a California wildfire. This compact indeterminate with the hippy-sounding name produces fruit that many claim is the best tasting tomato ever grown. I read in more than one place that these tomatoes were chosen 10 out of 10 times over the Cherokee Purple at a tomato-tasting farmer’s market festival. I find that a little difficult to believe, however; as I can attest personally that the Cherokee Purple is an outstandingly good tomato. I can only say that, if true, the Berkeley must be one fantastic tomato and one you (and I) definitely will want to grow. A port wine colored fruit that averages 8-12 ounces in weight and is considered an early, to mid-early producer. This beefsteak beauty will be ready for harvest in about 65-75 days. 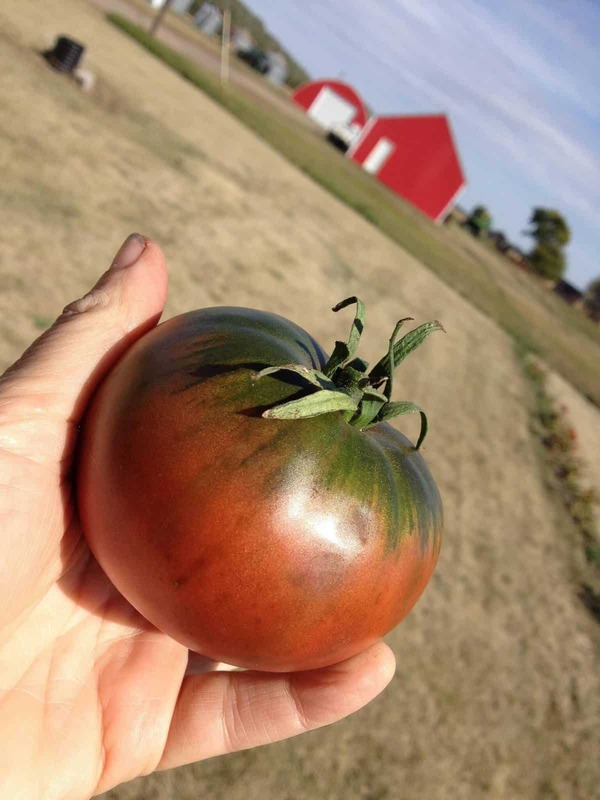 This lovely orangish-red heirloom named for the popular singer Boxcar Willie of Grand Ole Opry fame has garnered some fame in its own right. 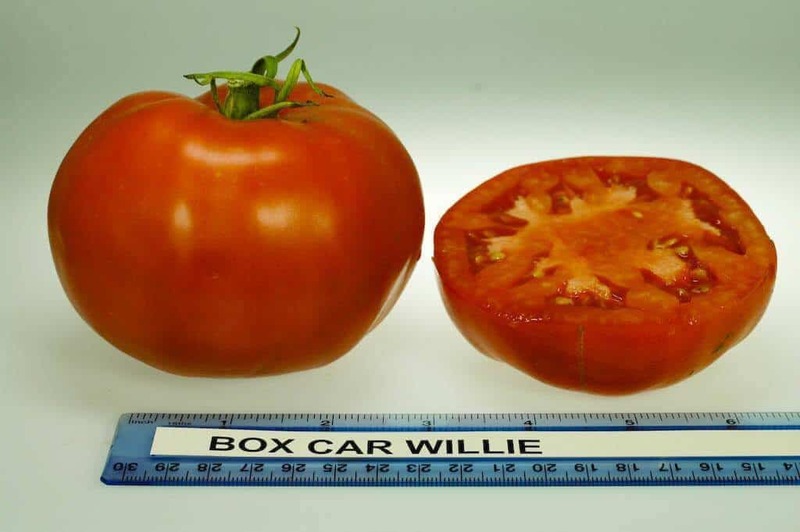 Boxcar Willie is a delicious indeterminate that is a prolific producer with a rich, sweet and well-balanced taste and is an all-around go-to tomato. Great sliced, stewed, in soups, cans well, and can be diced into a salad. This throwback to another time also makes wonderful tomato sauces and delicious and nutritious tomato juice. Boxcar Willie is the Swiss Army knife of tomatoes. Willie produces fairly large tomatoes weighing between 10-16 ounces. You know, half the fun of gardening is taking chances by trying something new and discovering some wonderful new flower, vegetable, tomato, or even technique that keeps us engaged with the Earth and Life. The other half is reaping the fruits of our labor in a bountiful harvest at the end of the growing season and being able to share it with friends and family. 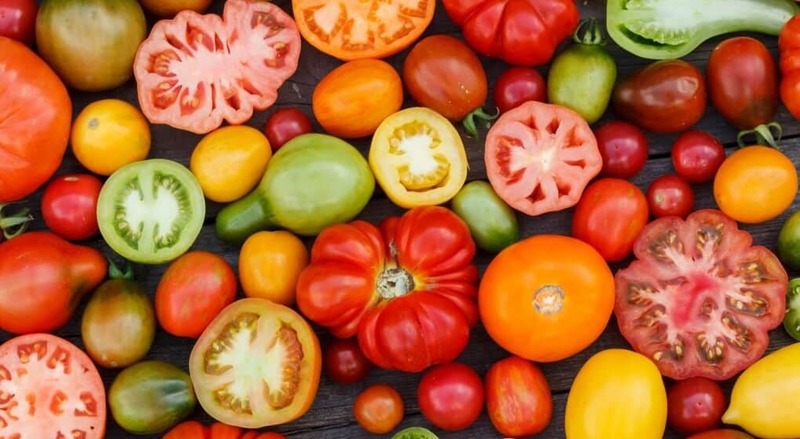 Now don’t be afraid to grow some of these great tomatoes because you may discover a new favorite in the process and a newfound courage in gardening. So live a little this summer and get some of these tomatoes in the ground before it’s your turn to be planted. For a lot more great gardening tips, see our guide on 31 Ways to Make You an Organic Gardening Guru. Happy gardening!